As previously discussed, the same reproductive hormones are produced in both men and women, but in varying amounts. 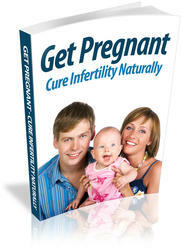 They play an important role in fertility and preparing the body for pregnancy. It helps to understand how the reproductive hormones react within your body. Just as with the case of the male, already discussed, the hypothalamus and nearby pituitary gland control the production and release of your body's hormones. In a woman, FSH and LH stimulate the ovaries to produce estrogen and progesterone. These female hormones fluctuate throughout the monthly menstrual cycle and play a critical role in your menstrual cycle and ovulation.